I use art to explore the layers of who we are and what society says we should be. Our mental and media landscapes are littered with psychic fast-food garbage that smothers personal realities and histories. My mixed heritage is mixed into my art. How do I stay true to myself, remember my roots and contend with institutional –isms? 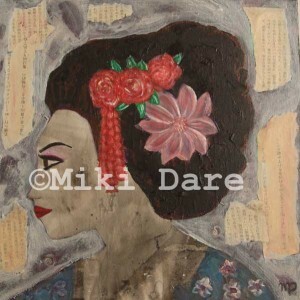 Click on Geisha Girl Stereotype Survivor to learn more about my latest work.